Jim Abernathy has worked with hundreds of nonprofit organizations and their staffs and boards throughout the United States and Canada for more than three decades. His focus has been to help them become stronger and more sustainable so that they are better able to achieve their missions. He has especially enjoyed helping people with similar interests decide how to create the right forms for realizing their joint goals. For example, they may work together to create a new organization (North Carolina Conservation Network), a new collaborative effort (Alaska Coal Working Group), or rejuvenate an existing coalition. 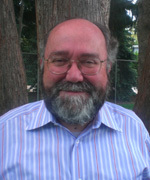 Jim was the founding Executive Director of the Environmental Support Center (ESC), which has made small grants for capacity building and provided other resources to strengthen hundreds of grassroots environmental justice and environmental activist organizations in the United States , Canada and Mexico since 1990. Because of those sixteen years of experience Jim gained as a grantmaker at ESC, he has been called upon for advice by other grantmakers about the design of their programs, process and specific funding requests. With a background as a founding board member and board leader for national, statewide and local nonprofit organizations, Jim examines the broader context of the work of those organizations which often leads to collaboration with other groups with similar goals. He has often shared his experience through presentations (Environmental Grantmakers Association), as a panelist (River Network), or as the moderator (Grantmakers for Effective Organizations) at gatherings and conferences focused on nonprofit management and philanthropy.